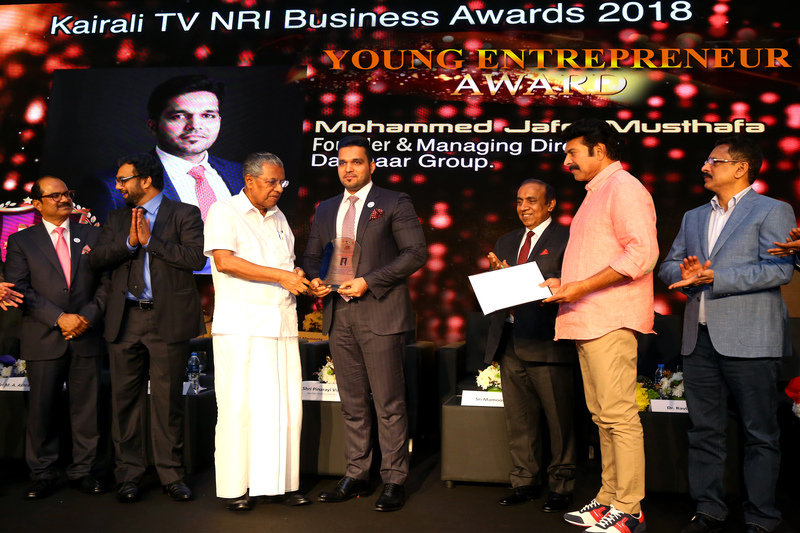 It is with huge pride to announce that Mr. Mohammed Jafer Musthafa, Founder and Managing Director of Daemaar Group is honoured with the “Business Entrepreneur Award” at the event of Kairali TV NRI Business Awards 2018 held at Sharjah. 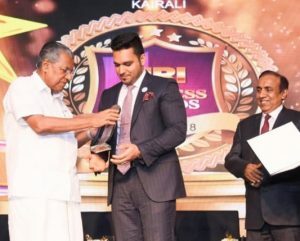 The award was presented by Honorable Chief Minister of Kerala, Mr. Pinarayi Vijayan ; The Executive Director of Lulu Group International, Mr. Ashraf Ali M.A. ; Managing Director of Kairali TV and former Business Head of Asianet Communications,Mr. John Brittas, MegaStar Mammooty; Founder and Managing Director of RP Group of companies, Mr. B. Ravi Pillai. It is indeed a big achievement for the entire venture in recognition of the pioneering work. Many congratulations to him and Daemaar Group. We wish him Good luck and success in his future endeavors! !